Global e-commerce major Amazon will keep investing in the Indian market to strengthen technology and infrastructure as it looks to overtake local rival Flipkart. The US-based company has already committed investments to the tune of $5 billion in India. “Our India team is moving fast and delivering for customers and sellers... It’s still day 1 for e-commerce in India, and I assure you that we’ll keep investing in technology and infrastructure,” Amazon founder and CEO Jeff Bezos said in a statement. Amazon, which entered India in 2013, has been locked in an intense battle with Tiger Global-backed Flipkart for leadership in the Indian market. Amazon has been aggressively investing in setting up fulfilment centres across the country to ensure speedy delivery to consumers. It currently has 34 such warehouses across 10 States. With Flipkart’s recent fund-raise of $1.4 billion from Tencent, Microsoft and eBay, the competition is set to further intensify in the coming days as the Bengaluru-based firm will also pump in money to strengthen operations and woo customers with offers. Bezos highlighted that Amazon’s team in India has increased Prime (which offers fast shipping and video streaming to members) selection by 75 per cent since launching the programme nine months ago. Also, fulfilment capacity for sellers has been ramped up by 26 per cent this year and the Fire TV Stick been launched to enhance the experience for customers. Amazon, however, did not break out its investment in India. The Seattle-based company’s sales jumped 23 per cent to $35.7 billion, while net income rose 41 per cent to $724 million in January-March quarter, from the year-ago period. 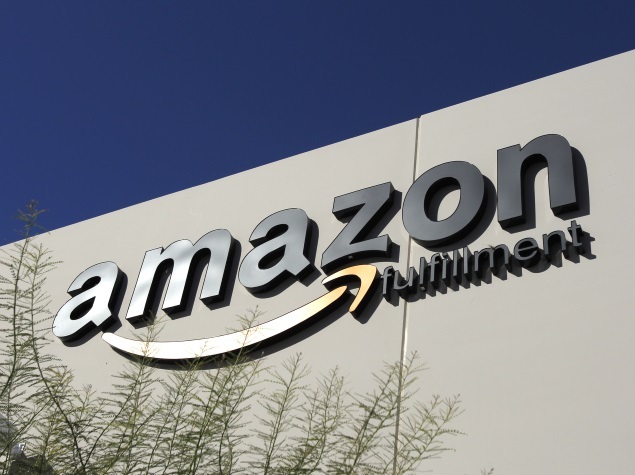 Amazon reported an operating loss of $481 million for its international business during the March quarter, compared with an operating loss of $121 million in the year-ago period. International business accounts for 31 per cent of the sales mix, while 59 per cent is derived from North America and 10 per cent from Amazon Web Services. Amazon generated an operating income of $596 million from North America operations, while that from AWS was at $890 million in the said quarter.